Page 127 of "Fifty Years of Collectible Fashion Jewelry 1925-1975" by Lillian Baker. Signed Coro. [larger view] Courtesy of The Enchanted Castle. 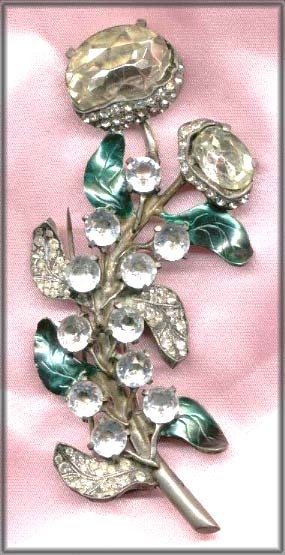 Page 215 the 3rd edition of "Collecting Rhinestone & Colored Jewelry" by Maryanne Dolan. Only the earrings with the blue r/s center is marked Coro on the back of each leaf. [larger view] [back view] Courtesy of Alice Leonard. 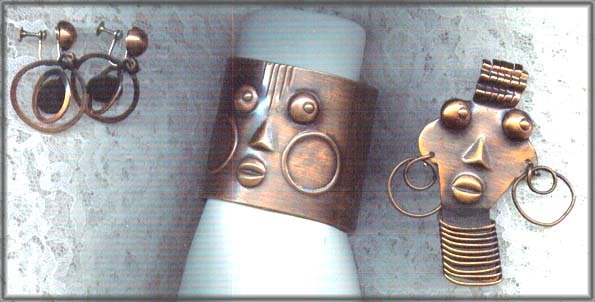 Unmarked silver bracelet and 2 necklaces (the bottom one is silver) identical to the gold Coro in the previous photo. [larger view] [back view] Courtesy of Alice Leonard. 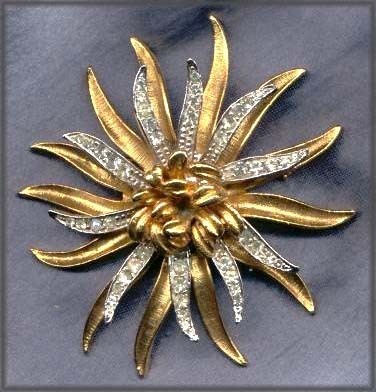 Ball and Torem, "Masterpieces of Costume Jewelry", page 142. 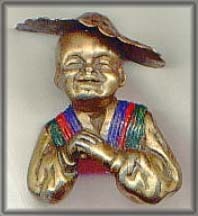 This version is gold washed and enameled. His hat is hammered. Green, red & blue enameling on his kimono. [larger view] Courtesy of The Junkyard Jeweler. Brunialti's "Tribute to America", page 165-166. REJA sterling amethyst faceted belly fly pin marked "sterling". 'Fly', designer Solomon Finkelstein, dated 1945. [larger view] Courtesy of The Junkyard Jeweler. 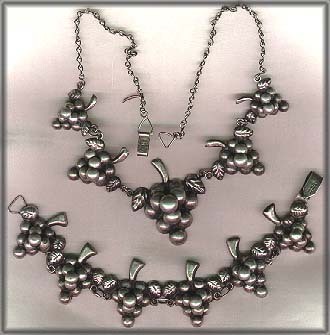 Page 59 in "Silver Jewelry Treasures" by Nancy Shiffer. [larger view] Courtesy of Illusion Jewels. 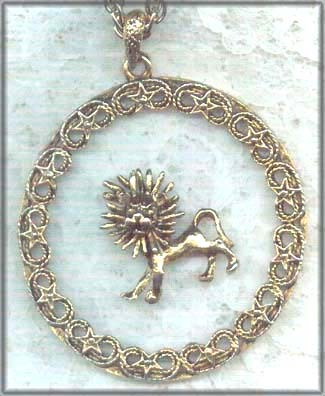 Late 60's Zodiac pendant, Leo the lion. 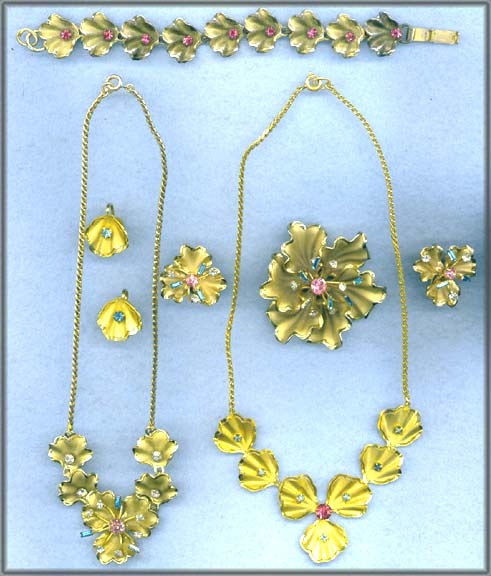 Page 96 of Roseann Ettinger's, "Popular Jewelry of the 60's, 70's and 80's". [larger view] Courtesy of The Junkyard Jeweler. 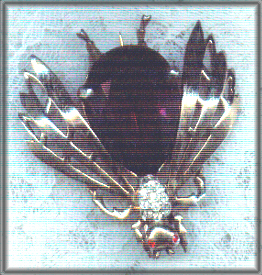 Page 342 of the renowned "Jewels of Fantasy" (Costume Jewelry of the 20th Century) by Deanna Farneti Cera. [larger view] Courtesy of The Junkyard Jeweler. Aksel Holmsen Norway Sterling vermeil enamel c. 1950 basse-taille floral. Page 241, "Warman's Jewelry 3rd Edition" by Christie Romero. [larger view] Courtesy of The Junkyard Jeweler. Only the small earrings in the left set are marked B.N. In the book the author shows hers marked B.K. 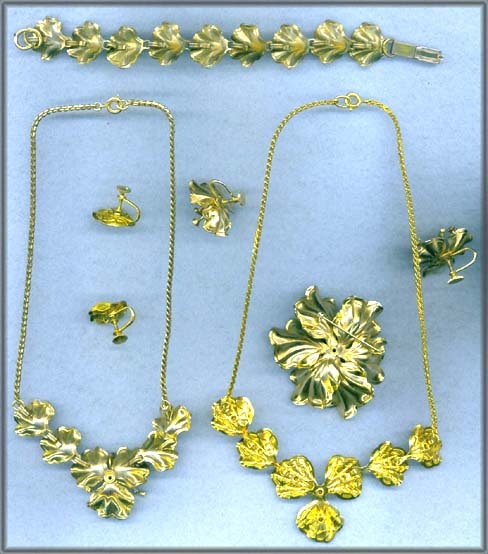 Part of the right set is found on page 64 of "Collectible Costume Jewelry" by Cherri Simonds. [larger view] [back view] Courtesy of Alice Leonard.